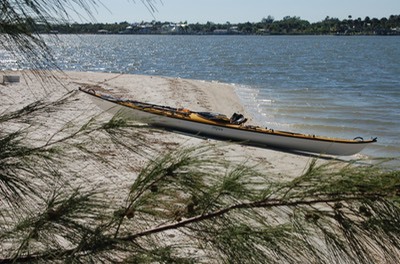 The Keys Challenge was developed and supported by PaddleFlorida.org - 116 miles in the Atlantic from Key Largo to Key West, paddled over nine days on the water. It was timed to coincide with the 100th anniversary of Flagler's arrival in Key West. Henry Flagler was the railroad's developer and first “official” passenger to travel the length of the over sea railroad - Miami to Key West. Sixty-eight paddlers were involved with about 65 boats on the water on any given day. Paddlers ranged in age from their early 20's to almost 80 years old. This video is an attempt to give an idea of the "on the water" portion of the trip. It rained our first night. Consequently, we started our first days’ paddle wet, under gray skies with a strong northeasterly wind and following sea; not the best of conditions for our inaugural 18 mile paddle. Wind and sea conditions were about the same the second day, if not slightly worse. But the sun was shining and it was still beautiful on the water. Our first paddler went over on this day (one of two over the course of the trip). But the Coast Guard Auxiliary was nearby and had him back in his boat very quickly. The Coast Guard Auxiliary shadowed our event each day. Conditions continued to improve. the wind was always northeast, east or southeast, always behind us with its intensity dropping enough to make for a lively paddle. 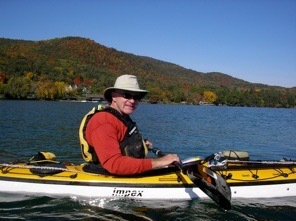 There were three kayaks equipped with sails. 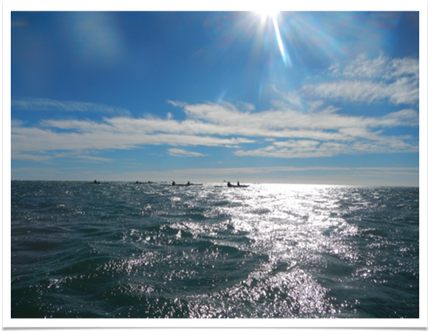 They made fast time on all but two days in these conditions, literally sailing circles around the paddlers! By the last two 18 and 20 mile days, I was hungering for more, not wanting to leave the water.